The Romanian NX 7 B3 Trench Digger is a 4×4 chassis with a crew cab at the front and the trench digging device at the rear. The device is lowered to the ground and then cuts out a trench with a maximum width of 60cm and depth of 180cm (1.8m). Doing so it digs out 210 cubic meters of soil/material an hour. 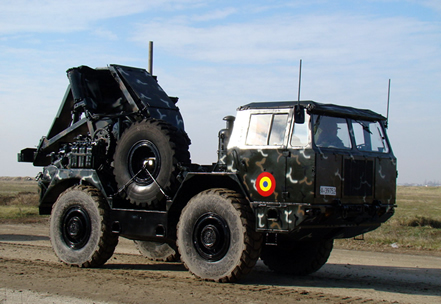 Its believed that 7 vehicles have been manufactured for the Romanian Army combat engineers.